Andrew Barrocas has enjoyed success as a dominant force and respected authority in the New York City real estate industry for many years. In his accomplished career, he has sold over $10-billion worth of property, and managed, trained, recruited and collaborated with the city’s top agents and brokers. As CEO and Founder of MNS, Andrew currently oversees more than a billion dollars’ worth of real estate, as well as an exceptional team of talented agents and project managers focused on providing the utmost level of client service. Andrew entered the real estate field after graduating from the WP Carey School of Business at Arizona State University. He went on to achieve instant success and recognition as one of the “Top 30 Brokers Under 30”, according to The Real Deal. Over the years, Andrew has been a continually sought-after expert on real estate who has been featured in The New York Times’ “The 30-Minute Interview”, quoted in all major New York publications, and spotlighted on The Stoler Report. 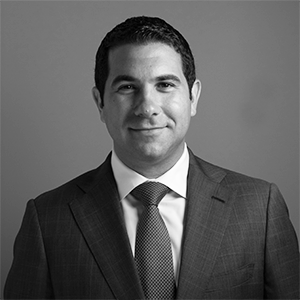 Andrew is also an active member of The Real Estate Board of New York (REBNY), The Community Housing Improvement Program (CHIP), Young Jewish Professionals (YJP) and Young Presidents Organization (YPO). He and his wife Rachel are the proud parents of three beautiful girls – Cayden, Ella and Zoe.